Galveston is a city located in Texas perched on the Gulf Coast. 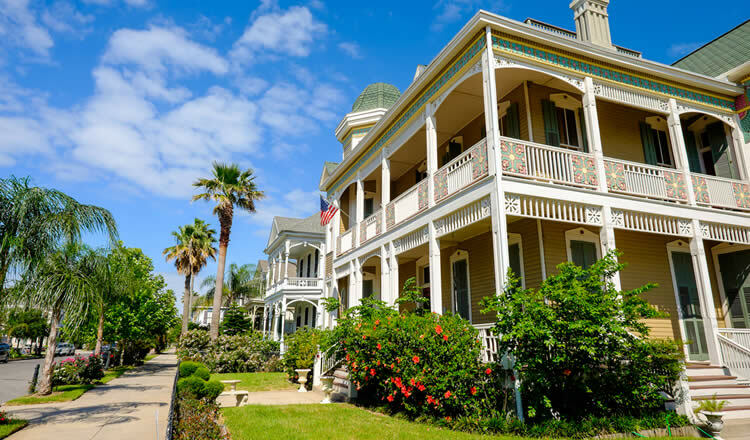 It’s a beach resort town on Galveston Island boasting a wide range of shopping, 32 miles of great beaches, fine seafood restaurants and stunning Victorian architecture. Book now the best deals for pre and post cruise hotels, cheap motels near Galveston cruise ship passenger terminals 1 and 2 for Royal Caribbean and Carnival Cruises. Overnight stay nearby, at the beach, or close to the airport. Where to Stay near Cruise Port of Galveston in Texas ? You can easily find Galveston cheap motels and affordable or more luxurious hotels in different parts of town, and most of them are situated close to the cruise ship terminals. Stay within easy walking distance, or a short distance away right on the beach (Seawall Boulevard). Some hotels will shuttle you for free to the port and offer free car parking. If you want to stay close to the port, nearest hotels are located within walking distance of both terminals. Closest properties are The Tremont House and Harbor House Hotel and Marina. Both hotels are 5 minutes drive from Galveston Beach, as well as the dining and shopping options of the Strand Historic District. Some Galveston hotels offer a free shuttle to the port, as well as free car parking such as the Holiday Inn Resort, and Inn at the Waterpark. Very reasonable is the La Quinta Inn & Suites. 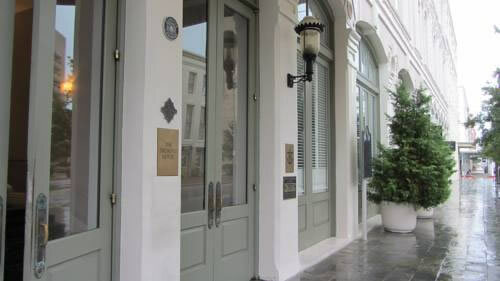 Highly rated 4 star hotel located near the cruise terminal and Strand Historic District. 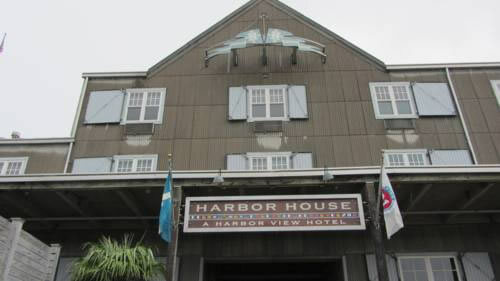 Recommended 3 star Galveston TX accommodation set on the Galveston Bay Harbor, 5 minutes from the beach. Cheap budget friendly beachfront hotel (motel) just off Interstate 45. The Port of Galveston is a very busy commercial port and one of the oldest ports in the Gulf of Mexico. Other Gulf of Mexico ports include Mobile in Alabama, cruise port of New Orleans and the Port of Tampa in Florida. Located 45 minutes southeast of Houston, it’s the main gateway for cruise ships with ports of call in Texas. Cruise vessels dock one block from the historical downtown, Strand district on Harborside Drive. Several cruise companies such as Royal Caribbean RCL and Carnival Cruises operate year-round from the port. Ocean liners will take you to the warm waters of the Caribbean and the Gulf of Mexico to exotic ports of call such as Cozumel Mexico, Belize, Montego Bay, Grand Cayman and Roatan. Galveston TX Cruise Terminals 1 and 2 — both terminals are located on Harborside Drive close to downtown and beachfront hotels. The Port of Galveston is located at the mouth of beautiful Galveston Bay, just 30 minutes from the open sea. Terminal 1 is mainly used by Carnival Cruises, Terminal is used by Royal Caribbean International. George Bush Intercontinental Airport (IAH) — IAH airport is about 70 miles or 90 minutes away by car from the cruise terminal in Galveston Texas. Hobby Airport (HOU) — Hobby Airport (HOU) is closer and much smaller airport, located at about 40 miles or within a 1 hour drive. Frequent services from both airports to the embarkation terminal are offered by several limousine companies and cruise lines. Taking a taxi or private shuttle is another option. If you’re flying in late or out early, an airport-area hotel can be a good option. Many properties, both nearby George Bush and Hobby airports offer a free airport shuttle service to/from the airport. 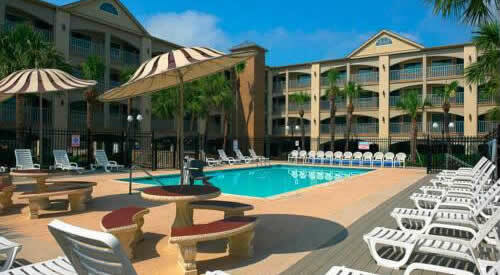 Stay here and the next day you can transfer to the port of Galveston tx. George Bush IOH international airport in Houston is located 90 minutes or 70 miles away from Galveston. Parking — safe and secure, car parking lots are available directly at the cruise pier. There is a free shuttle service from the parking facilities to the piers. Parking is available across Harborside Drive or just a few blocks away. The closest parking lot to the Galveston Cruise Terminal is “Park N Cruise”, located right across the street within walking distance of the pier. Another parking lot nearby is EZCruise, which will shuttle you directly to the port. If you are using a GPS or map program, input the following information to find the correct locations: Cruise terminals – 22nd Street and Harborside Drive. Parking lots – 33rd Street and Harborside Drive. Exit the airport and turn right onto Eastex FRWY/US-59. Merge onto US-59 S via the ramp- on the left. Take I-45 south to Exit 1C, and turn left (east) onto Harborside Drive/Hwy 275. Continue about 4.7 miles to Kempner / 22nd street (which is the street leading into the Cruise Ship Terminal entrance), and turn left. The are adjacent to the terminal is for loading/unloading luggage curbside only. Galveston TX is home to some of the most historical buildings in Texas. Admire old Victorian homes during a pleasant carriage ride through this historic city. Stop by the Grand Opera House, one of the country’s finest historical theatres. A must see is Bishop’s Palace, a beautiful historic building with fabulous woodwork, floors and ceilings. Take a tour of this lovely mansion and learn some history of the Island of Galveston, Texas. Head to Seawall Boulevard for the best beach, surf and swim wear or look for bargains in one of the numerous antique stores or art galleries in the historic Strand District, close to where all cruise ships dock. Beach enthusiasts can spend a relaxing day on one of Galveston Island’s fine beaches. An excellent beach for families is Stewart Beach. East Beach is the hot spot for nightlife. Enjoy the breeze and sights during a nice trip on the free ferry boat from Galveston to Port Bolivar. Watch dolphins alongside the ferry and birds flying around. A fun day out for the entire family is Moody Gardens which features a large aquarium and a 3D IMAX theater. Many places to stay are located right on the beachfront on Seawall Boulevard, steps from beautiful beaches on the Gulf of Mexico. Several provides a variety of on-site facilities, including a sports court, an outdoor swimming pool and a gym. Pleasure Pier is within easy reach. Pre or Post cruise accommodation with free shuttle service to the pier — many Galveston hotels offer complimentary parking as well as a free roundtrip shuttle to the port. Home Port for Cruise Ships — currently departing from Galveston TX are ships of Royal Caribbean and Carnival Cruises.